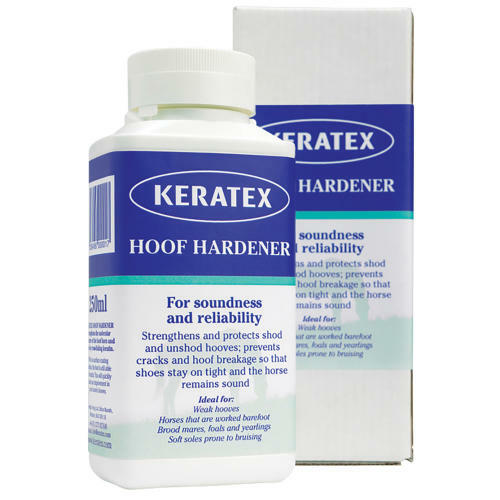 Keratex Hoof Hardener helps to strengthen and build up good quality healthy hooves. Contains special ingredients which promote flexibility and suppleness while strengthening hoof walls and soles. This is a perfect solution to weak brittle or cracking hooves horses prone to sole sensitivity and horses prone to throwing shoes. It starts working the moment it is applied giving results in just a few days.